"To be able to say to someone, 'I get it. I get where you are. I was there myself' is profound." When I was a kid the third commandment — Thou shalt not take the Lord’s name in vain — confused me. The common, grade-school explanation was that we shouldn’t say “God-dammit,” which seemed a rather minor infraction given the menu of possible transgressions God would frown upon. (So sensitive, this Old Testament God!) Or that — somewhat more understandably — we mustn’t take an oath invoking God’s name that we couldn’t or didn’t intend to keep. When I was in Israel in my early 20s, I heard an explanation that opened the whole thing up for me. Apparently -– as is often the case –- the confusion results from a mistranslation. The verb in the biblical Hebrew translates not to “take” but rather “carry.” Thou shalt not carry the Lord’s name in vain. In other words: Do not commit despicable acts in the name of God. Well that makes a little more sense. We see this kind of thing everywhere, people cloaking themselves in the robes of the good, the just, and the holy to give cover to horrid behavior. Genocidal despots and dictators throughout history -– and still today -– otherizing and marginalizing in the name of “purity” and “patriotism.” Predatory priests and pious politicians invoking the name of God again and again while behaving in the most egregiously un-God-like ways imaginable. It’s easier to spot in politics and religion but no one, it seems, is immune from its pull. I’ve studied with various spiritual teachers over the years only to endure the shock and sadness when they were revealed to be — gasp! — human. I don’t mean to suggest they were up to anything criminal, just that they wore a mask of pious virtue which eventually crumbled. I wonder, in hindsight, why the mask needed to be there in the first place. And why I needed so badly to believe these teachers to be authentic and fault-free. I find people who are upfront about their flaws and wounds to be eminently more trustworthy. Yet there seems to be some human need to believe in at least the promise of perfectibility. Perhaps we so badly want to believe perfection exists in the human form because we know ourselves to be so deeply flawed and disappointing. We want to believe there’s a way out of this mess, that something or someone can spare us the pain of being human. Painting oneself as great, virtuous, and blemish-free is incredibly dangerous, for both leader and disciple. First off, prone as humans are to comparison, it creates unreasonable expectations for people in their own lives, provoking the feeling that they should be more “together” somehow. And secondly, it puts too much weight upon the leader. Masks are exhausting and detrimental to our spiritual, emotional, and physical health. A pious mask too firmly affixed creates the perfect conditions for the shadow to run wild. I write — or attempt to write — about a saner, healthier, more centered way of moving through the world. Though I want to be clear about something: I don’t write about being sane, centered, and healthy because I am those things. I write about them because they — more often than not — elude me. I write as an antidote to the madness within, as a reminder to myself of what is possible, like a message-in-a-bottle from a wiser me to a less evolved me. Often I don’t even know how I feel about a thing until I write about it. Sometimes my typing fingers are smarter than the thoughts in my head. So I pay attention to what I write. There’s something in there for me. Richard Rohr wrote that there was a time when he was gaining in acclaim and notoriety, that he was being treated like some kind of guru. And he noticed that he was liking it. It was a spiritually perilous moment for him, he said. Pride was knocking at the gates. So from that moment on he has prayed for “one good humiliation a day.” One good daily reminder of his humanity and fallibility. And, he said, he gets it! Richard’s also talked extensively about how black-and-white he was in his thinking in younger days, how severe and humorless and judgmental he tended to be. He’s perpetually engaged in honest self-reflection and critique, interrogating even seemingly innocuous words and actions. This is high-level stuff, to be on alert to the seductions of an adoring audience. I’ve been up close to people who keep an entourage of sycophants around them who laugh at all their jokes no matter how flat, who endorse every idea no matter how ill-conceived. That cultivated echo chamber can’t help but have deleterious effects over time. Because no matter who you are, not every word that drops from your lips is gold, not every thought is a winner. A mind and heart untended to will just be a bundle of conditioned tics, hungers, fantasies, grievances, and neurotic thoughts on loop. We’ve not been properly trained to be suspicious of the voices in our heads. The world is a mess because of uninterrogated thoughts. I had a teacher who used to say, “If you’re aware of a defect, you’ve already highlighted it for deletion.” I love this. A lot of times when we become aware of our defects — of what truly has a hold of us — we can feel crazier, like we’ve pulled up a rock and can see all the slugs underneath. But without awareness we’re nowhere. As I recently heard: If you can’t feel it, you can’t heal it. All true healers are, to use Henri Nouwen’s phrase, wounded healers. To be able to say to someone “I get it. I get where you are. I was there myself” is profound. The wounded tending to the wounded. 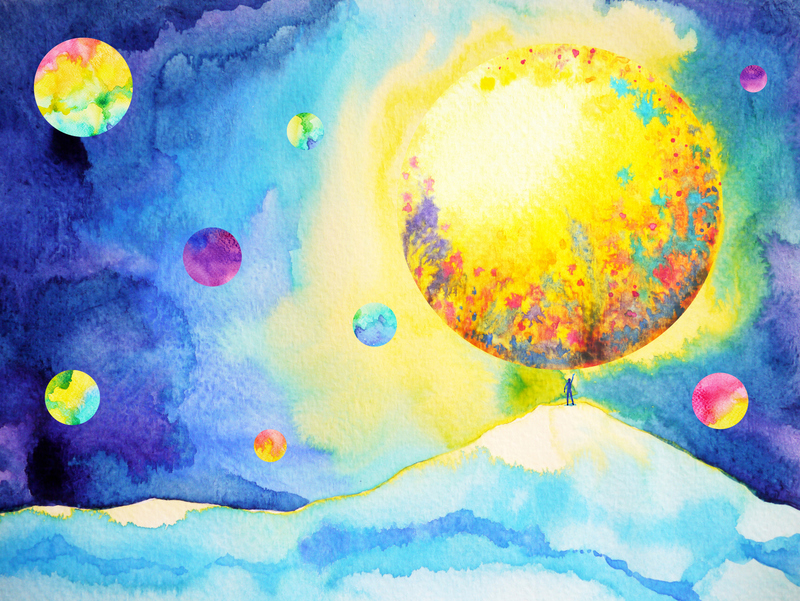 When we raise our hands and volunteer to walk a spiritual path — which is often instigated by pain or discontent, some quiet feeling that there must be a better way — it often sends more confusion and pain our way. The good news is that then — and only then — the healing can begin. If you enjoyed this story from Josh, sign up for his Museletters here. And read Josh’s other Thrive Global pieces on his favorite quotes, music and heartbreak, choosing more than one career (he is half of the band Radnor & Lee), fame and the mindset shift that changed his life, spirituality, coping with the pain of loss, and why we need new metrics of success in our work. Josh Radnor is an actor, writer, director, and musician originally from Columbus, Ohio. As an actor he has starred in long-running television shows (How I Met Your Mother), short-running television shows (Rise, Mercy Street), films (Jill Soloway's debut feature "Afternoon Delight"), on Broadway (The Graduate, Disgraced), and off. He wrote and directed two feature films (Happythankyoumoreplease & Liberal Arts) both of which premiered at the Sundance Film Festival before being released in theaters, the former winning the 2010 Audience Award. His writing has appeared in The Rumpus and LA Times Magazine, among others. For the last few years he's been making music with the Aussie musician Ben Lee as Radnor & Lee. Their self-titled debut album was released in November of 2017. They are currently recording their second album. He lives in Los Angeles and New York.